Histamine or scombrotoxin is a foodborne toxin that is associated with the consumption of fish, particularly species belonging to the Scombridae and Scomberesocidae families (scombroid fish), such as mackerel and tunas. Histamine will start to develop as soon as the tuna has died. Due to modern chilling and freezing methods, only in very rare cases, tuna products are found to contain levels of histamine that would be a threat to human health. 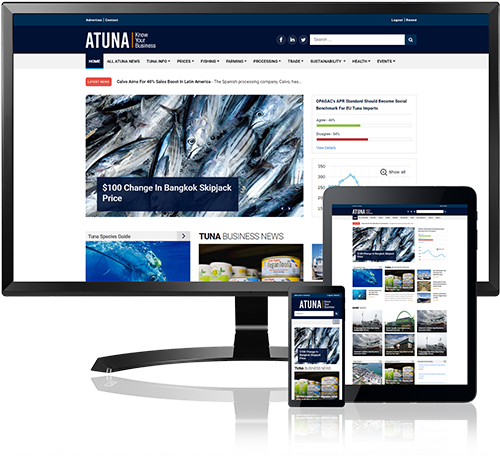 Nowadays advanced storage conditions on board vessels, food safety and quality procedures within tuna industry, and inspections by national health authorities, have reduced the problem to a level in which it hardly occurs anymore. Histamine counts have been brought down to minimum levels that are not harmful for consumers. Typically nowadays, histamine levels in canned tuna are within the range of 1 ppm to 30 ppm. Within these ranges tuna is perfectly safe to consume. Food regulations in most countries allow counts up to 50 or 100 ppm. Scombrotoxic poisoning is also known as histamine poisoning, since histamine is considered to be the principal toxic component of scombrotoxin, although other compounds may be involved. Histamine (C5H9N3) is a biogenic amine and can be produced during processing and/or storage of tuna and certain other foods, usually by the action of spoilage bacteria. Histamine or scombrotoxin formation is a result of time and temperature abuse of certain species of scombroid fish. In other words, if the tuna is not immediately chilled below 4 degrees Celsius or frozen on board of the fishing vessel, after it has been caught, histamine can start to develop to unacceptable levels. By responsibly handling the tuna on board, and during the production process, histamine counts can be kept well below 50 ppm. In most cases, histamine levels in illness-causing fish have been above 200 ppm, often above 500 ppm. However, there is some evidence that other chemicals (e.g., biogenic amines such as putrescine and cadaverine) may also play a role in the illness. In countries with small coastal vessels, a lack of supply of ice, an insufficient cold supply chain and poor hygienic circumstances, histamine is unfortunately still frequently detected and known to reach high counts. If transported in un-chilled trucks or open air, especially in tropical temperatures, histamine development can accelerate further to unacceptable levels. Histamine or scombrotoxin in fish is produced by the decarboxylation of the amino acid histidine and fish species that have high levels of free histidine in their tissues are most likely to develop toxic histamine levels. This is usually the result of the action of the enzyme histidine decarboxylase, which is found in a number of bacterial species that may occur in fish. Scombrotoxin is most often associated with scombroid fish, especially tuna, skipjack, bonito and mackerel, but other also non-scombroid fish, such as sardines, herring, pilchards, marlin and mahi-mahi have been involved in outbreaks of illness. Scombrotoxic (histamine) poisoning is a chemical intoxication, in which symptoms typically develop rapidly (from 10 minutes to two hours) after eating food containing toxic histamine levels. The tuna fishing and processing industry takes a lot of preventive measures in order to avoid the presence of this toxin in their catches and therefore in the finished product. For primary processors, for instance fishermen and tuna processors (fresh, frozen and canning industry), the temperature and time control are essential as key measures for the prevention of histamine production in tuna. Throughout the tuna supply chain, in processing plants and by health authorities intensive and continuous tests are conducted to guard and monitor histamine levels and food safety. It is important to note that a cooking or sterilization process will destroy both histamine producing and bacterial descarboxylases, but not the histamine itself or scombrotoxin. So once it is in the tuna meat there is no way to remove it anymore. Hygiene, good handling on board of the fishing vessel, during the landing, transport and processing, remain essential and the highest priority to prevent or minimize contamination. Guidelines set up by US FDA and EU’s DG SANCO; 50 ppm is the limit related to analysis of a single fish (individual analysis) at the reception of the raw material. 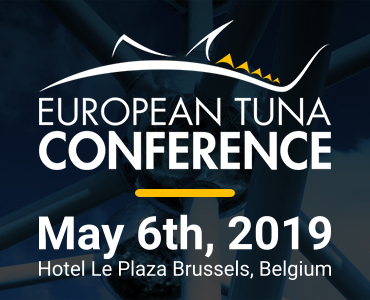 The tuna industry has adjusted this receiving histamine level until 30 ppm for individual analysis in order to have a tolerance for the cooking and cleaning process operation which might increase the histamine concentration. For sensory analysis US and EU Food safety authorities recommended to evaluate 118 tuna with an acceptance level of less than 2.5% decomposed fish per the lot.